Go Paige! Hope you guys have a fabulous time in Leadville - it will be hard, but like you said, pushing yourself outside of your comfort zone helps you experience LIFE! And hey, I know we would enjoy a Friday night like you and Geof! Have fun, savor the moments, and we will look forward to a full report! Welcome to CO! Good luck Saturday. It is an awesome event. Hard to think of another 100 miler with 800 starters. The vibe at the start is pretty cool. Enjoy your run and see you on the trails. Good luck! Have you read Julie Berg's blog post about Leadville 100? It sounds like there's an early-ish cutoff to pay close attention to -- I think you will have a blast! Best of luck out there! 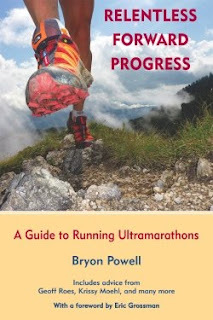 Enjoy the high altitude awesomeness of Colorado and big, fun, running journey! I have lots of friends running and cheering, but I won't be there myself. Be sure to say hi to Bryon if you cross paths! Danni - thanks for that link, I am about to go read her post! Meghan - I'll keep an eye out for Bryon! Reading this makes me wanna puke, LOL, but that's only because I'm nervous too :-). You'll rock it P! Heck, WE'LL rock it. It's gonna be EEEEPIIIIIC!!! Have a great trip and enjoy the race, Paige!